China's Premier Wen Jiabao said Saturday that his country wanted to see peace and stability on the Korean peninsula, as tensions mounted over the sinking of a South Korean warship. "China is persistent in supporting peace and stability on the Korean peninsula," Wen was quoted telling South Korean Prime Minister Chung Un-Chan. "We reject any act that would harm peace and stability," he said, according to Chung's spokesman. 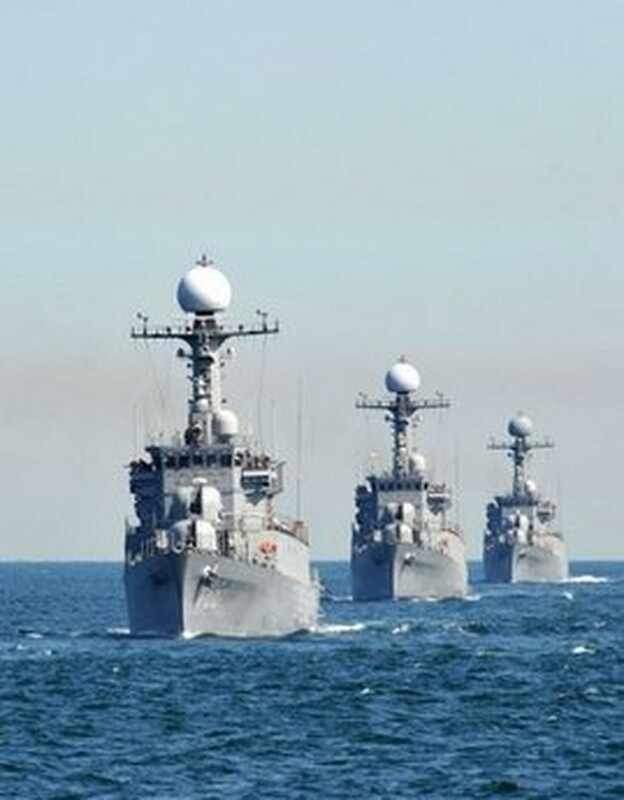 South Korean Navy Patrol Combat Corvettes stage an anti-submarine exercise off the western coast on May 27, 2010. Wen was also quoted as saying that China, as a responsible member in the international community, attached importance to the outcome of a multinational investigation led by South Korea into the sinking. That investigation has held North Korea responsible for the attack on March 26, saying that the South Korean corvette, the Cheonan, was destroyed by North Korean a torpedo, killing 46 sailors. South Korea and its allies have since announced reprisals, prompting threats of war from the North, but China has so far refrained from publicly blaming North Korea for the attack. At an earlier meeting with South Korea's President Lee Myung-Bak, Wen said that China would "review the results of international probes closely and consider reactions from countries concerned seriously. "It will then take its position on this issue in an objective and fair manner. According to the investigation results, China will not protect anyone," Wen told the South Korean president. Wen met Chung before flying to the southern resort island of Jeju for a three-way summit also attended by Lee and Japan Prime Minister Yukio Hatoyama. The two-day talks until Sunday are likely to focus on the sinking of the Cheonan, with Lee was expected to press Seoul's case -- backed by Tokyo -- for the North to be punished for sinking the Cheonan. South Korea, with the backing of the United States and Japan, is seeking China's support to sanction -- or, at least, to censure -- North Korea in the United Nations Security Council. China, a veto-wielding member of the council, is the North's sole major ally and economic lifeline.